Welcome to the Western Australian Curriculum and Assessment Outline which is for all students from Kindergarten to Year 10. It sets out the mandated curriculum, guiding principles for teaching, learning and assessment and support for teachers in their assessment and reporting of student achievement. All syllabuses are part of the mandated curriculum for the planning, assessment and reporting of student progress in Western Australia, as prescribed by the Western Australian Curriculum and Assessment Outline. Visit the implementation requirements page for the implementation timeline for each learning area. To access the syllabuses please visit the Western Australian syllabuses page. Please note: Judging Standards is located under the assessment menu and is housed in the extranet for privacy of student work samples, especially for those relating to performance. To login or register visit the Extranet page. More information about accessing the Judging Standards. Scootle provides digital resources for teachers and students. 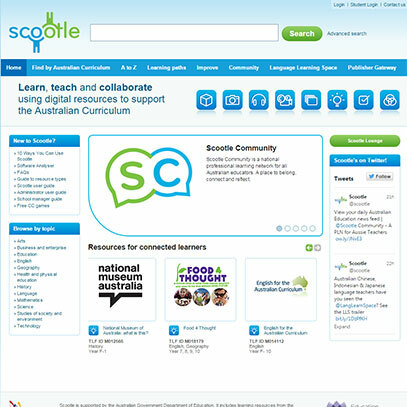 Many of the resources in Scootle match the Western Australian Curriculum content descriptions. 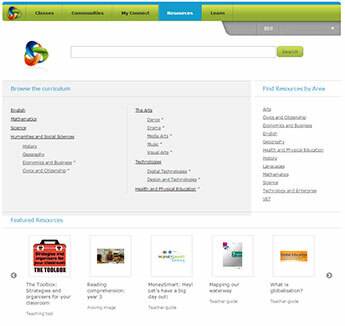 Department staff can use Connect to browse the curriculum, find matching resources and share them with students and colleagues. All national and locally created resources are available at http://connect.det.wa.edu.au.